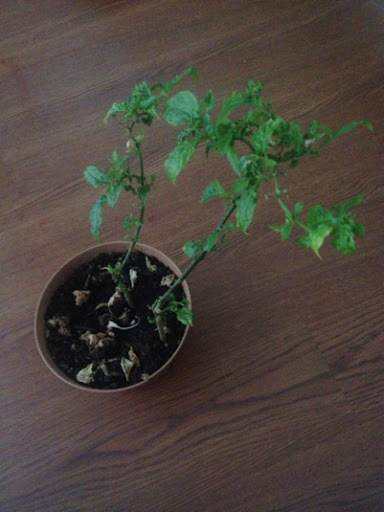 I can grow vegetables in a garden pretty well but my pot plant gardening skills are practically non-existent. 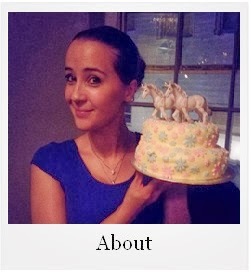 My proof in that statement can be found in the following photos. Oh, how I longed for planters overspilling with leafy greens and bubbling with fruit. I want fat orange habenaro to slice into stir fries or simmer in some autumnal chutney. I want shiny fruit delicately dangling of leafy green sturdy plants. My terranium skills are rubbish. It doesn&apos;t quite make sense. It&apos;s the same principle. Plant seeds, water, (prune, if necessary), pick. Maybe I&apos;ll never get the hang of it. 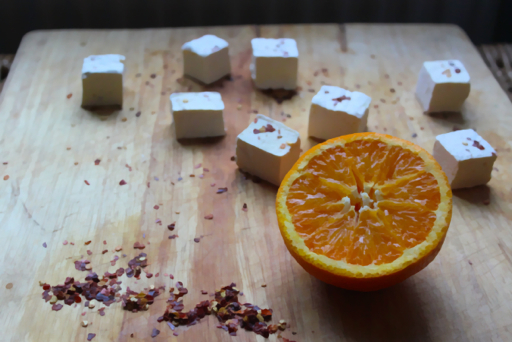 I&apos;ll console myself with these orange and chilli marshmallows in the meantime. 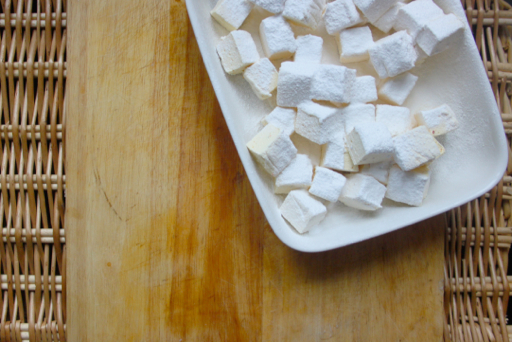 Sweet and just a hint of warmth, perfect summery marshmallows. Do you have any container/pot plant tips? Couple of tablespoons of cornflour and icing sugar mixed together. 1, In the bowl of a stand mixer, fitted with a whisk attachment, mix together the orange juice, zest, chilli, and powdered gelatine briefly. Leave this to sponge while you make the hot sugar syrup. 2, Add the sugar and golden syrup into a medium sized saucepan and add just enough cold water to cover it. 3, Turn the heat to low and stir until the sugar melts. 5, Bring the syrup to a boil and continue to heat it until it reaches 130o/c on a sugar thermometer. Remove from the heat and leave to one side for a minute. 6, Turn your stand mixer on and slowly pour the hot sugar syrup into the bowl. Be careful not to hit the spinning whisk. 7, Beat until it goes pale and fluffy. 8, Whilst its beating, line an 8 inch square cake tin with greaseproof paper. Brush that lightly with vegetable oil and then dust with a little cornflour and icing sugar. Make sure you oil up the sides and dust those also. 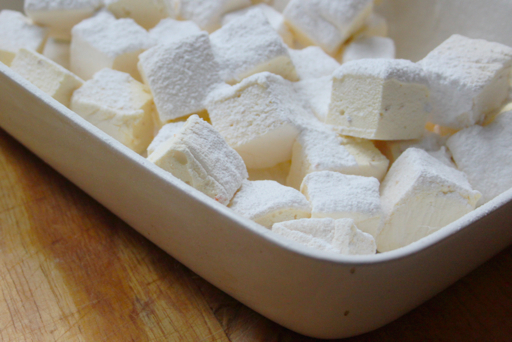 9, When the marshmallow is ready, it will take on the consistency of really sticky bubblegum, carefully pour it into the prepared tin. Using a tablespoon dipped in water smooth the top out and then dust the top with some more of the cornflour/icing sugar mixture. 10, Leave in a cool place for a couple of hours until it has set. 11, Cut into squares and roll in more of the cornflour/icing sugar mixture. These will keep for around 2 weeks in an airtight container. 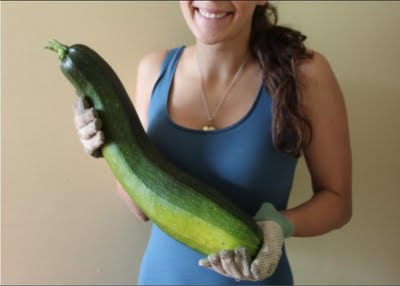 I'm sorry I can't help you with any pot plant tips, I'm so impressed with your giant courgette though!! 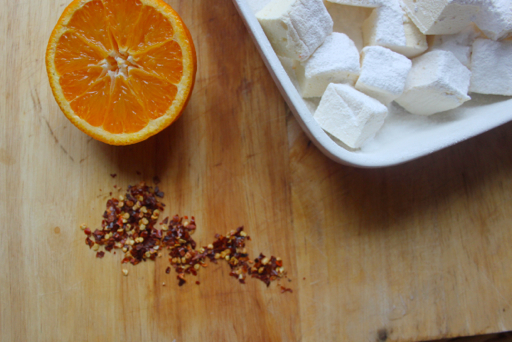 Your marshmallows look gorgeous and I love the sound of the orange and chilli flavour! Thank you Rosie, that courgette managed to hide itself until it was massive. I ended up making brownies with it! That is the most obscenely large courgette I've ever seen. 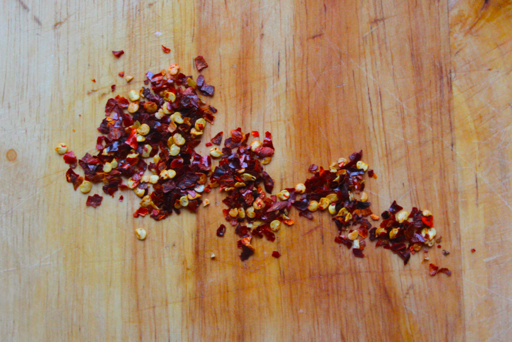 I am also impressed that you would slice habanero peppers into stir-fries. We eat hot at our house and I don't even do that! 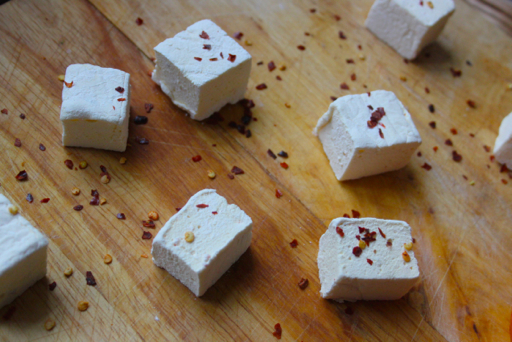 And last but not least, your marshmallows are beautiful. 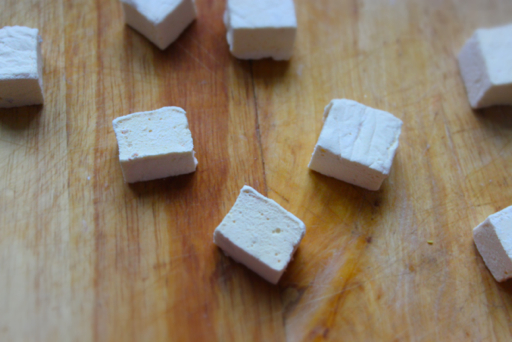 This is the second marshmallow post I've read today, so perhaps it really is the season! May you have enough sunshine soon for your pepper bush to flourish! Thank you Stacy, it's a ridiculous courgette! I think the word "marrow" was whispered at some point! A little habenero goes a long way but I was assured this variety wasn't as volcanic as some - guess I'll never find out as my pot plant skills are rubbish! Wow what great sounding marshmallows. You really are good at them, and the flavours sound perfect for this time of year. Pot plants are hard as they need so much more water than plants grown in the soil. Chillies grow on our windowsill well. They do like sun and if you can a dose of tomato feed once a week but that should be it, try again! 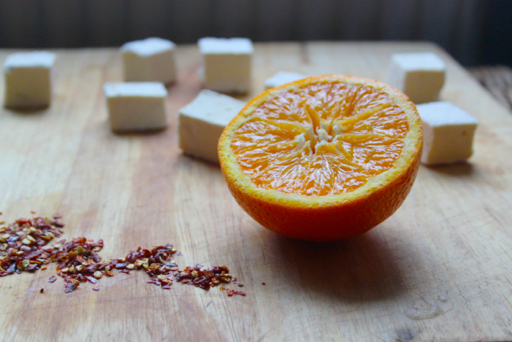 Thank you Laura, the marshmallows were really good, not too spicy and perfect with the sweet orange. Thank you for the pot plant tips - I'm going to repot it at the weekend and crack on with actually looking after it properly rather than just splashing a bit of water on it!